reread: Need a sweet new pad ??? 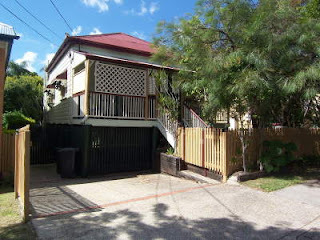 If you need a new little house in Stones Corner Brisbane or know anyone who does ... check this out - forward -retweet!! xoxox much love to any Brisbane peeps who send this on. maybe it'll be like those emails you get at work 'if you send this on within 9 minutes you'll get good luck' ... for those who don't I'm guessing you can expect hemorrhoids or a terrible gas while at work OR in the elevator at work. Phee -yhewww. West End is so popular right now. I like the hallway. and all the best for the year ahead. Good luck girl...hope they're stampeding to your door! Oh, I love bunnies! They are all so cute but I think the bottom picture is the best one. Thanks for the post.